Contemporary post-top spheres. 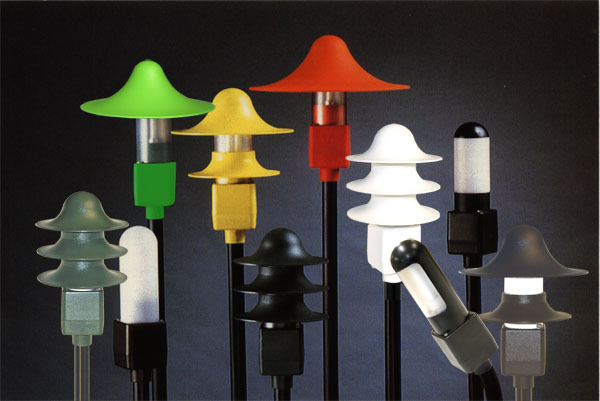 Decorative low voltage ground-level landscape lighting designed to withstand abuse from environmental elements, lawn maintenance equipment and vandalism. 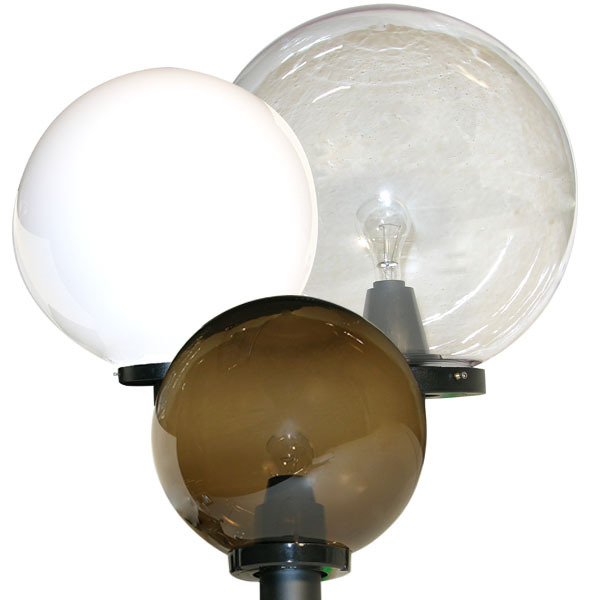 Post-top spherical luminaires with Metal Halide, High Pressure Sodium or Incandescent lamp sources. 120V. Lens enclosures include polycarbonate and acrylic in clear, opal white or smoke bronze. Aluminum or steel wall bracket in black or bronze. ETL Listed for Wet Locations (UL 1598). Incandescent listed. HID adds 3.3 lbs. to 7.8 lbs. Molded-in colors include Black, Forest Green, Bronze, Orange Red, Yellow, Shamrock Green or White. ETL Listed for Wet Locations (UL 1598).